Life is not cheap. Expenses often include rent, a mortgage payment, insurance, utilities, medical expenses, clothing, and so on. As a kid, my parents were not wealthy, but we had a home, food, and clean clothes that fit. I don’t remember wanting for anything, aside from that one toy that always seemed out of the budget. Hand-me-downs were the norm and hot dogs and canned veggies were often on the menu. We went to the doctor and had medications when necessary. Now that I’m responsible for three little people, I have a much better appreciation for what my parents did to be able provide for the four of us kids. In the US, people spend roughly 8.5% of their budget on food. A family of four eating on a moderate plan will average $890-1062 monthly. The grocery bill eats up a significant portion of any family’s budget. We all make choices when we look up and down the aisles. Many people shop the sales of the week and stock up on staples or use coupons to save here and there. I’ve never mastered the art of it like my mother, but I do use them if and when I can. Hey, fifty cents in my pocket is better than in theirs’, right? Sometimes we even splurge on something we’ve had our eye on that isn’t the most frugal choice, but all of us do it if we can. For those living with food restrictions of any sort, shopping on a typical budget is out of the question. We have very different criteria for shopping; safety rather than good buys comes first. Most of the allergy families I know can’t shop at one store for all their needs. Driving to specialty stores adds not only time to our shopping routine, but additional gas expenditure along with wear and tear on our cars, all of which balloons our food budget. For me to go to two of the specialty stores we frequent, it’s over an hour drive round trip. I try to stock up when I’m there so I don’t have to go more than every three or four weeks, but if I forget things, we are out of luck until I have the time and money to go back. We get monthly Amazon Subscribe and Save shipments and Vitacost for many of our shelf-stable staples which includes the $6.50/each “drink boxes” from Neocate. (Yes, we treat our UPS driver VERY well). Add to that the time it takes to call and email manufacturers to ensure their food is allergy safe and time is money, as they say! Thanks to Food Equality Initiative Inc. for the use of this graphic. I love this chart from Food Equality Initiative, Inc. I think it really helps people see exactly whaI love this chart from Food Equality Initiative, Inc. I think it really helps people see exactly what those with allergies, especially multiple allergies, have to manage just from a financial point of view for food. We personally have to avoid all traces of dairy, eggs, peanuts, tree nuts, all gluten (wheat, rye and barley) as well as bananas. 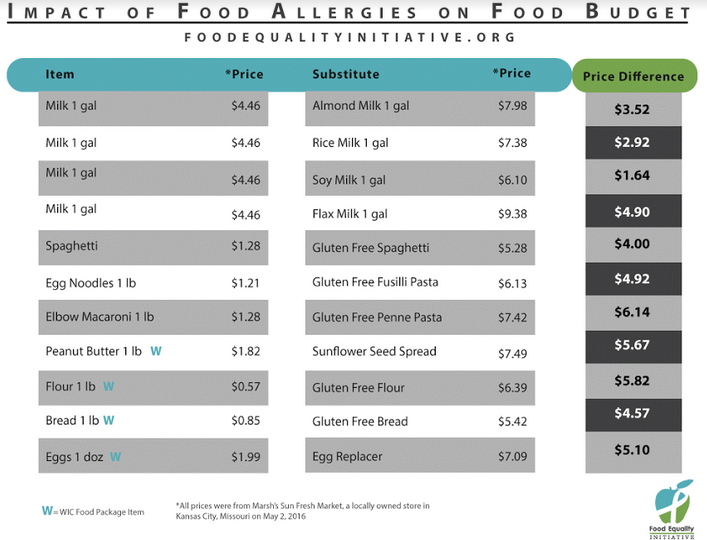 This chart is something everyone who talks about not understanding how expensive it is to manage food allergies needs to see. While most families pay $2.99 for a gallon of milk, ours pays about $16.36. A five-lb. bag of flour is about $3.50; I pay $27 and no, that is NOT a typo. Yes, allergy families pay $27 for five pounds of flour. And yes, that is JUST for the flour I use for baking. 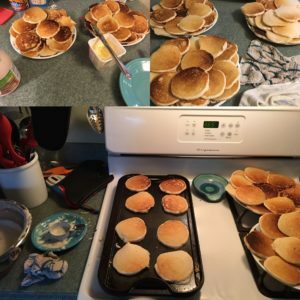 I recently ordered pancake mix. Non-allergy families pay around $3.50 a box; allergy families pay around $20. This is also why I may not be as generous when I bring food places. It’s not that I don’t want to share. It’s that it costs me a LOT more to make those cupcakes that your kiddo is just going to eat the frosting off of versus the $2 box of cake mix most families can use. If my milk costs $13 more and my flour almost $23 more, you can see how much we spend to feed our family. We are not talking lobster tails and steak either. These are staples. 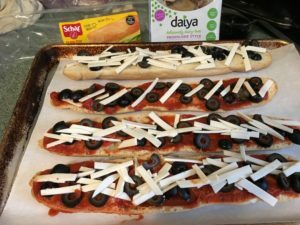 Allergy friendly food doesn’t go on sale often either and coupons are pretty hard to come by, though you can ALWAYS email companies and ask for some! Sometimes you may luck out and get some. My kids are amazing and I want them to have whatever we can provide for them, so we do what we can and that means treats from time to time. A bag of safe chocolate chips is $4.50 on sale and cookies are $6-7 for a box of 10-12 cookies. Filling Christmas stockings and Easter baskets, as you might guess, is a particular challenge. I appreciate the hard work and dedication of allergy-friendly companies and I would never tell them to do it any other way. Allergy parents everywhere hear harps playing and see golden lights shining when we find a safe snack at a store which is made possible by the costly safe-sourcing these companies provide. But that cost is passed down to the consumer; A 1.02oz. allergy-friendly candy bar is $2. Compare that to the two for $1 bars at the checkout lane. Still, most of us do it for our kids if we can. Home made pizza- because you can only afford so may $80 pizza lunches out. Once in a while, we go out to eat. We don’t do it often for a lot of reasons, cost being a big one. To be safe, we need to either go to high end places which for a family of five is NOT going to be cheap, or we need to stick to well known chains with good allergy protocol. One place my kiddo has fallen in love with is Mellow Mushroom. First off, the closest one to us is 45 minutes away. Once in a while, we drive there so we can be a normal family, going out for pizza like any other family would. His special pizza (crust and cheese with one topping) costs $15. Yes, $15. Our bill for the five of us at lunch is usually about $80 with tip. For a pizza lunch. This really impacts our budget and we don’t do it very often because we simple can’t afford to. For my husband’s “big” birthday party a few years ago, the special meal provided for my kids (which was nothing at all fancy, but safe) were $25 per kid. They loved it and ate it all up, but $75 for 3 “kid” meals is a lot of money. Food is a necessity in life. Those with food related issues have to pay more attention to what they are eating and they pay far more for these foods. There are many opportunities my family can’t pursue because our budget doesn’t allow it. We don’t do yearly vacations. We don’t have the latest and greatest electronics, but we DO have a safe family and we try to feed our children a healthy and varied diet. We make choices that others may not understand when we are in the grocery stores. Yes, I have a cart of organic fruit and veggies and on top, four bags of Lay’s chips because they are a safe (for us) snack. We are all doing the best we can with the budget we have. When all is calculate out, we spend about four to five percent more on food than the national average and I do try to be as frugal as I can. Just as my parents were able to provide for us, I know we are very privileged to be able to do the same for our kids. I know how lucky we are and I do know not everyone is in the same position, food allergies or not. ***If you have every considered making a donation for those with food related issues in your community, contact your local food shelters and inquire if they have allergy-friendly foods you could add to or consider donating to FEI, Inc.